An odd couple considering if they should jump into the fray of vultures who have discovered a fresh corpse. Eagle: What do you think, stork? I'll go if you do. 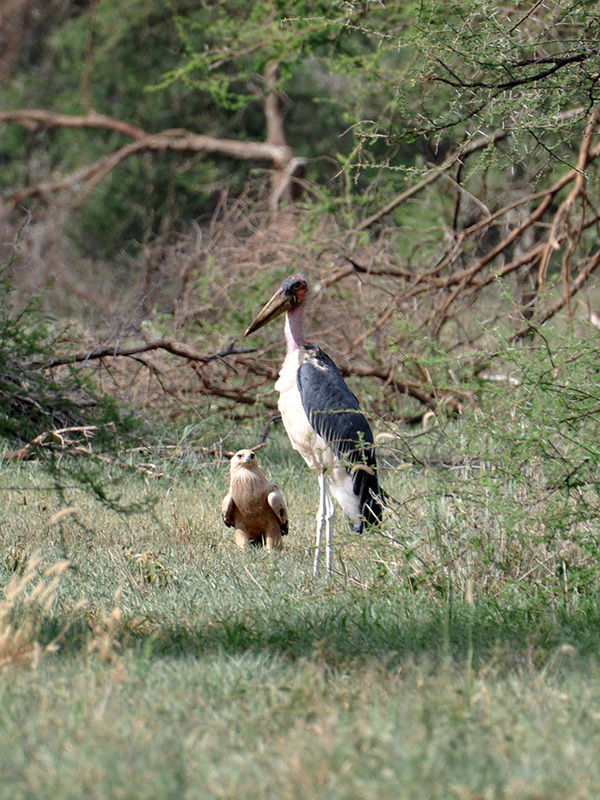 Stork: Nah, I'll just hang back here until the vultures are done eating.